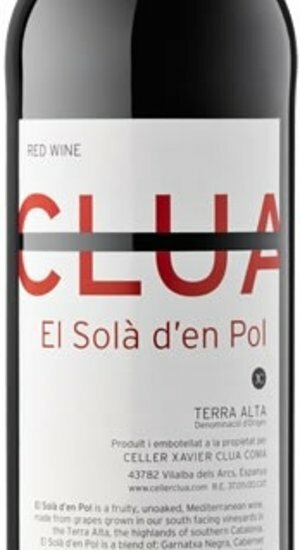 Smooth, charming red wine based on Garnatxa Negre, Cabernet Sauvignon, Syrah, Ull de Llebre and Merlot. Xavier wants to emphasize the fruit with this El Sola. A soft spiciness makes the whole very beautiful. The grapes are fermented in cuve stainless steel and are bottled after a few months of ripening.